Just a post with a few photos of what we all did for our boss’s birthday at work. 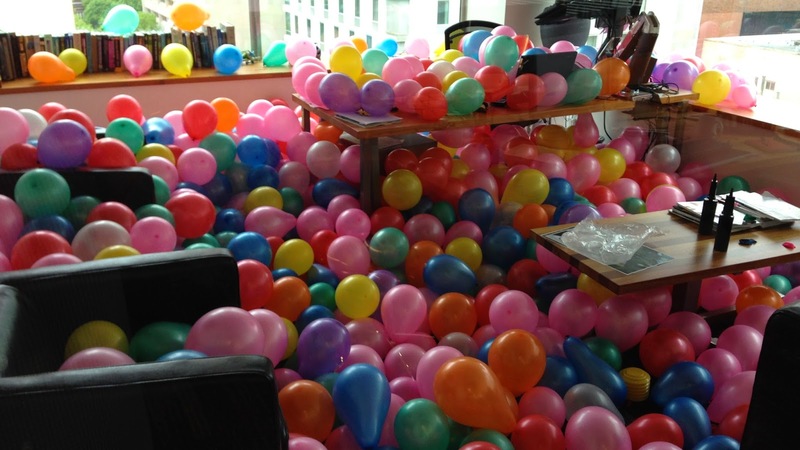 It certainly took a while but it seemed like everyone contributed to blowing up a few balloons. 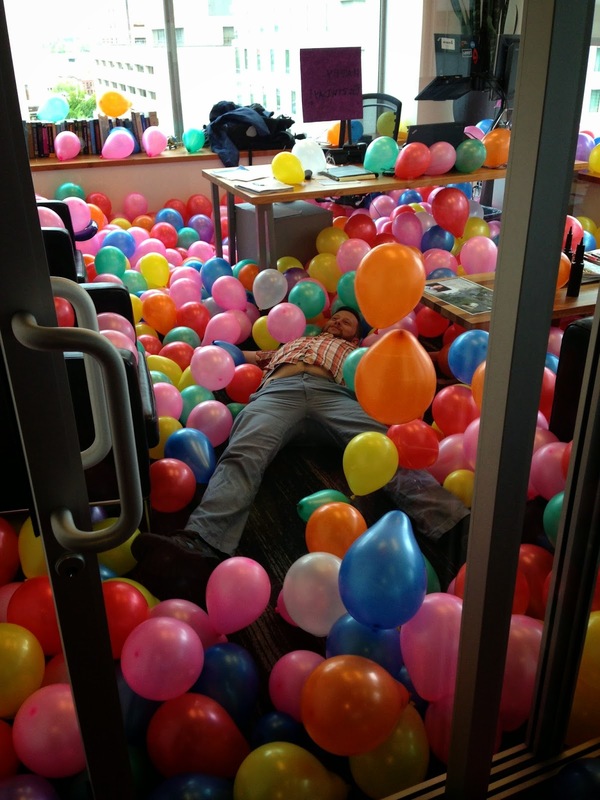 Matt was certainly surprised when he got to the office. Watching him push his way through them to his desk was pretty fun. 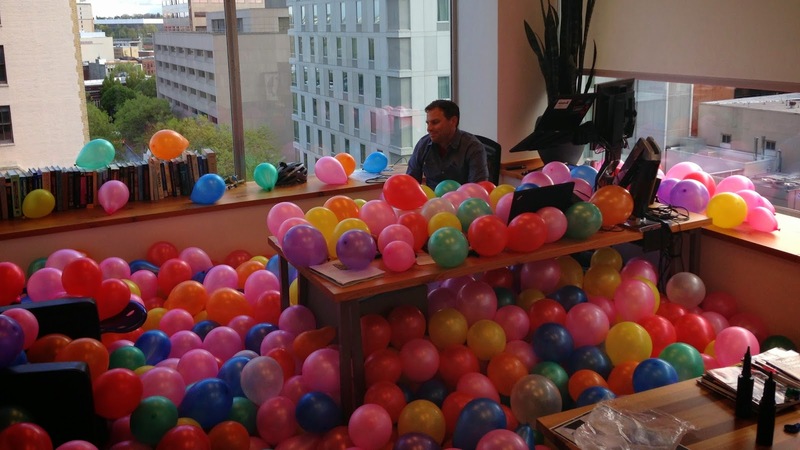 They stayed there for a few more days until he began blowing them into the office with a fan. Ryan put tacks in a cardboard poster tube (his “boom stick”) and made quick work of killing them at our end of the office. 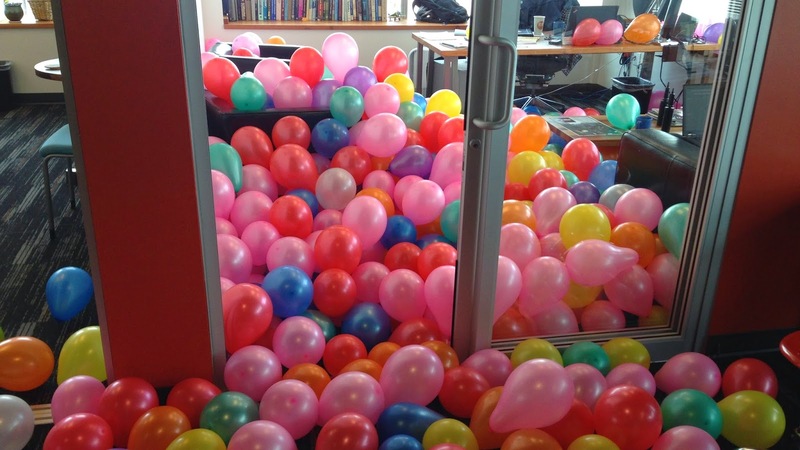 But this was after he made “balloon angels” in Matt’s room and I swam through a wall of them myself. Pretty fun, and cool that we work in an office where this kind of stuff is not only ok, but sometimes encouraged….